Alice Munro, called by the Nobel committee â€œMaster of the contemporary short story,â€ has won the 2013 Nobel Prize for literature. Munro, 82, is the first Canadian to take the prize. She told a National Post reporter earlier this year that sheâ€™s retiring from writing. The Millions : Canadian Short Story Master Alice Munro Wins the Nobel Prize for Literature. China has its first literary Nobel Laureate as the prize has gone to 57-year-old novelist Mo Yan. Yan is said to make use of magical realism and satire in addressing Chinaâ€™s recent history. His books have been frequently banned in China and â€œMo Yanâ€ is a pen name meaning â€œdonâ€™t speak.â€ Yanâ€™s given name is Guan Moye. Author Alex Shakar wrote about Yanâ€™s novel Life and Death Are Wearing Me Out. Yanâ€™s style here is maximalistic, headlong, sloppy to be sure, but bursting with life; or rather, lives â€” human and otherwise. A Chinese landowner is executed at the dawn of the Cultural Revolution, and the story follows him literally to hell and back, again and again as heâ€™s reborn in a progression of animal incarnations. Each time, he winds up near his former family and participates in its dramas, goes on animal adventures, and witnesses the hardships, cruelties, and absurdities of life in China over the last half-century. Mo Yan himself shows up as a character from time to time. The Millions : Chinese Novelist Mo Yan Wins the Nobel Prize for Literature. 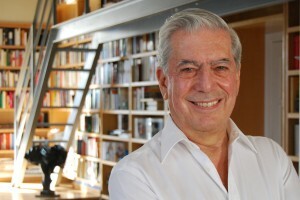 Peruvian writer Mario Vargas Llosa has won the 2010 Nobel Prize in literature. The [EU Prize for Literature], supported through the EU Culture programme, aims to draw attention to new talents and to promote the publication of their books in different countries, as well as celebrating European cultural diversity. So, please help yourself to some European literature.